Priti Solanky, Binita Desai, Abhay Kavishwar, S. L. Kantharia. Background: Psychological stress among medical students is common as compared to other professional courses. The prevalence of perceived stress among medical students affects not only their academic performances but also to some extent their health. Objective: The present study was undertaken to determine the prevalence of self â€“ perceived psychological stress among Under-Graduate medical students, to identify probable factors responsible for it and to suggest possible interventions. 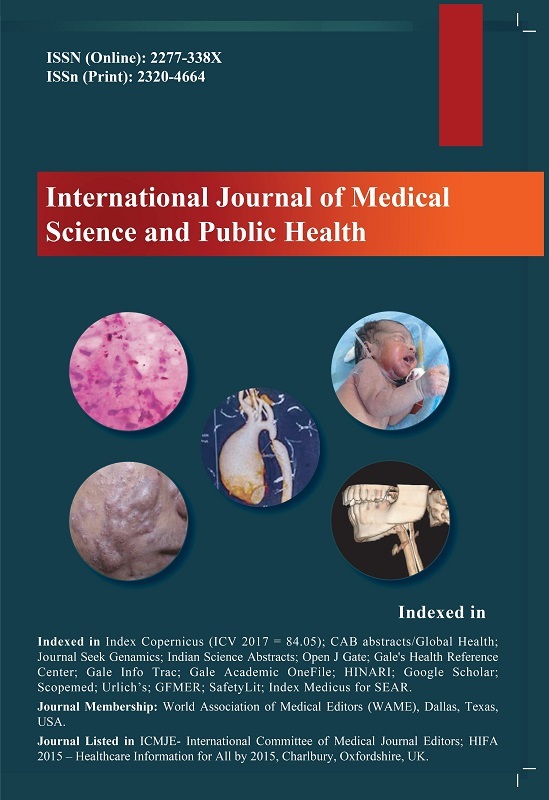 Materials and Methods: A cross sectional study using self administered questionnaire was conducted among a sample of undergraduate students chosen from all the years of MBBS who were enrolled at Govt. Medical College Surat at the time of study period. Results: In this study 3.12% of the students reported having no stressor experience, 55.6% reported mild to moderate stressor experience and 41.2% with severe stressor experience. Major factors responsible for stress identified in this study are increased load towards exam, vast syllabus, not getting expected marks, less time for repeated learning and procrastination. Conclusion: This study has found that majority of undergraduate students experience stress. Both academic and emotional factors are responsible for this stress. Proper guidance and counseling by faculties may help to improve the present scenario. 7. Tyssen R, Vaglum P, Gronvold NT, Ekeberg O. Factors in medical school that predict postgraduate mental health problems in need of treatment. A nationwide and longitudinal study. Med Educ 2001; 35: 110-20. 12. Saki M, Martinac M, Skobi H, Jakovljevi M. Depression among students of the Medical Faculty and doctors in Mostar. Med Arh 2005; 19-22. 18. Medical Council of India. Vision 2015.MCI, New Delhi, India;2011:p.11-12. Curr Psychol 2018; (): .